Further Specification: Evaluation Kit for SLVS-EC_v1.2_RX-IP-Core_Xilinx. Contents: Image Sensor Board (ISB) with Sony IMX421LQJ-C color image sensor, Adapter PCB, Lens Mount (C-Mount) and Mechanical Stand. Product information "SLVS-EC RX IP Core – Evaluation Kit"
The SLVS-EC RX IP Core Evaluation Kit from FRAMOS provides you with a ready-to-use hardware environment. It supports your evaluation and demonstrates based on an exemplary and fully documented image pipeline, the integration of the IP Core into a typical camera design. 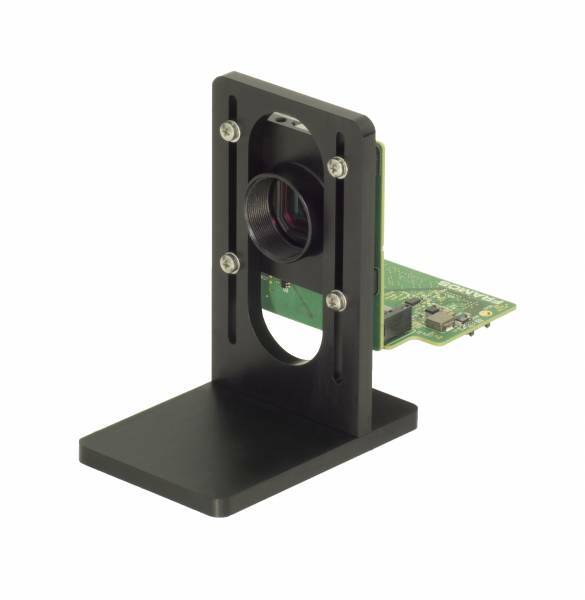 The package includes Image Sensor Board (ISB) with Sony IMX421LQJ-C color image sensor, Adapter PCB, Lens Mount (C-Mount) and Mechanical Stand. NOTE: Xilinx Evaluation Board is NOT included and requires separate purchase from Xilinx. Related links to "SLVS-EC RX IP Core – Evaluation Kit"
Product Details "SLVS-EC RX IP Core – Evaluation Kit"